This textbook offers practical guidelines for integrating science, technology, engineering, and mathematics into the elementary curriculum in the context of addressing real-world problems, all the while cultivating in students high-level thinking and problem solving. 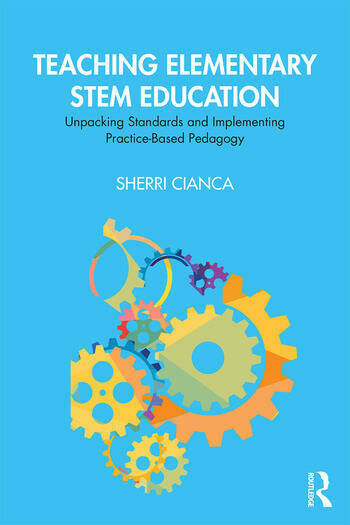 Designed to equip future teachers with the tools to create and implement standards-based STEM curriculum and cognitively demanding tasks, author Sherri Cianca offers hands-on, easily-implemented strategies that foster student reasoning, autonomy, and humanity. This fresh approach to STEM teaching empowers preservice educators to both design effective pedagogy and support their own development as teachers. Chapters work together to advance teachers’ abilities to determine and unpack priority standards, research effective academic resources for achieving mastery, and to translate standards-based content into a student-friendly curriculum. Chapters contain ‘probes’ throughout to uncover incomplete and inaccurate conceptions and focus attention on key learning elements. Chapter summaries and "Reflect and Apply" sections further reinforce the content throughout the book, and appendices expand on chapter content and provide further examples of STEM unit curriculum and assessment criteria. Sherri Cianca is an Associate Professor and Student Teacher Supervisor at Niagara University in New York, USA.